What can I say? I love Victoria Schwab. Her writing is creepy, evocative, and exciting. The Archived is slated to be one of my top ten books of the year for that reason. She shows a mastery of character, language, voice, and atmosphere that's rare for any writer and too rare in young adult. 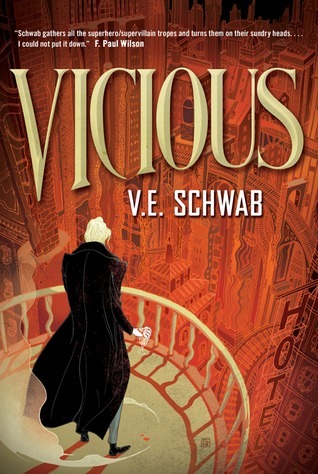 Vicious promises to carry on the characteristics I loved in Archived, while adding another level of darkness, violence, and depth that I can't stay away from. Not to mention, the plot has a kind of superpowery element that I love (because I'm a superhero nerd) but one that's grounded in science, ish. So even better! Plus, every time Victoria posts about it, I just want to hug it and read it now.